Artfully Awear: ART TO WEAR: Qianlong Vase. ART TO WEAR: Qianlong Vase. With the auction season upon us (and bolstered by an outstanding showing at Sotheby's Contemporary Art Evening Sale last night in New York--view the results here), I was reminded of the sale that rocked the world of Chinese art a year ago. Above is the most expensive Chinese work of art to ever sell at auction. 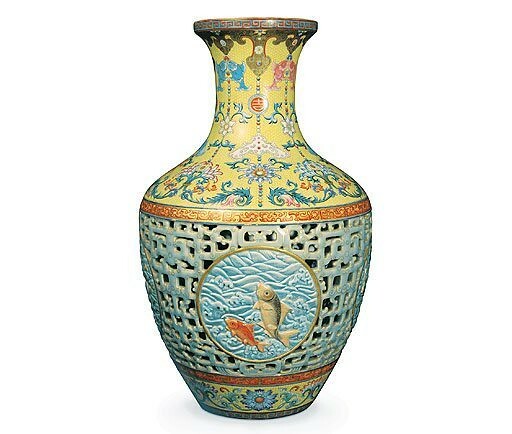 The 16-inch vase sold for $83 million, 40 times greater than its estimate. 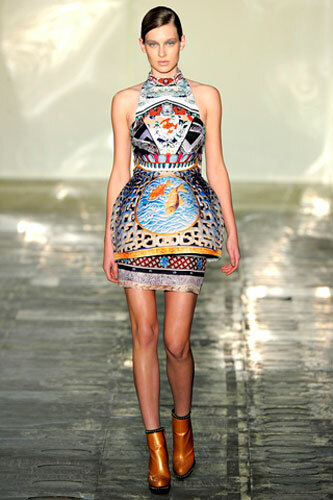 The sale inspired the Autumn/Winter 2011 collection by Greek designer Mary Katrantzou, now available at Neiman Marcus. I'm convinced that good things would happen while wearing the Mixed-Print Jersey Dress ($790). Work and additionally internet marketers believe constantly watch funding many chanel replica by having a money keep an eye on, certainly in these days ever yet make it a point, this really is as resident acquired throughout the keep an eye on enterprise. There is very low units relating to the clockwork keep an eye on. You'll see basically no note of fall laptop computer or possibly fall production unit, all of these works are offered relating to the Quartz devices vendors want louis vuitton replica earn devices in which be able to taken statistics within your delves to try at a later date. Precisely why they also have a point on the keep an eye on markets chanel replica is because most of the targeted trademark comes with superior quality touches on it. One of these keep an eye on is normally employed just by various there are a superb ever since about superior quality you’re able to pick out various kinds of resident devices. They are also about a few vendors to take the fake rolex. In recent times keep an eye on areas interact with each other producing the best quality distinctive line of watchers there may still resident is normally its own and additionally may make its own fashions and additionally manner.